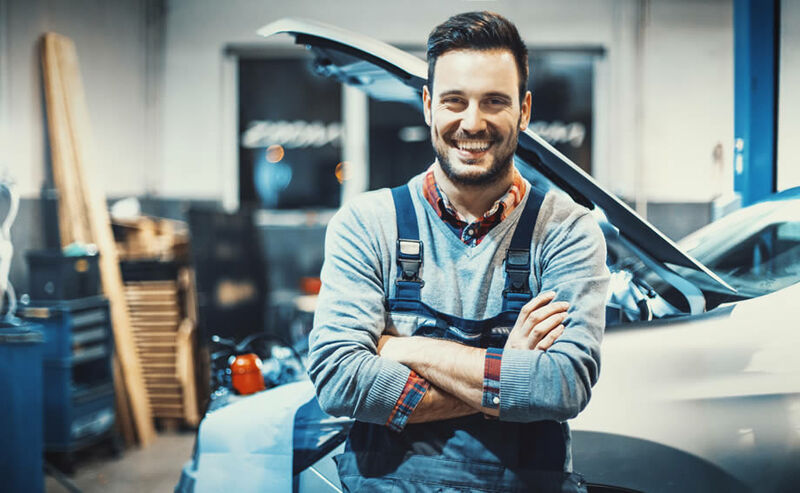 Traffic accidents happen and often end up with you at the collision center, but what steps should you be taking between the crash itself and getting your car repaired? It can be helpful to have all the information you need and a first aid kit in your glove compartment or trunk. Things like insurance information and local police contact information are good to have on hand. You may also want to add a pencil or pen with some paper to make exchanging information easier. After a collision has occurred, it’s essential to remain safe. If it’s a minor accident and you can move to the side of the road safely, do so. If your car is unable to be moved, you should remain safely inside your vehicle until the police and fire department arrive to assist. People outside of their automobiles after an accident put themselves in risk of being hit by a passing car or being hit by their car if it’s struck by a moving vehicle that didn’t see the accident. Turn your hazards on to alert other drivers to the crash. Some first aid kits come with triangles or flares, and if possible, you can put these out to further protect yourself. You’ll want to get the information of anyone that was involved in the accident or witnessed it. Be sure to get as much information as possible, such as name, address, insurance company name, insurance policy number, insurance contact information, driver’s license information, and the license plate number. You don’t want to admit fault or accuse someone else of causing the accident at this point. You’ll be grateful to have your phone after an accident. Not only does it allow you to call for help or a tow, but you can document the scene. Take lots of pictures. You’ll want to get pictures of the overall scene. Take photos of the damage to your car. Take photos of the damage that happened to the other vehicles involved. You can’t go wrong with taking plenty of pictures to document what you’re seeing. Depending on where the collision occurred, police may not respond to the scene if there were no injuries. You still have to go to a local police station to file a police report. This is where all of the information you received and the pictures you took can help. You’ll want to do this as soon as possible as it can often help with your insurance claim. Finally, you’ll want to contact your insurance company. They will let you know about your coverage and what you need to do next to get your car repaired. Have you been involved with a collision in Limerick, PA or the surrounding areas and need a collision center that will get you back on the road? Contact us today to discuss how we can assist you after your collision. Previous Previous post: Is Your Car Safe To Drive After A Wreck?